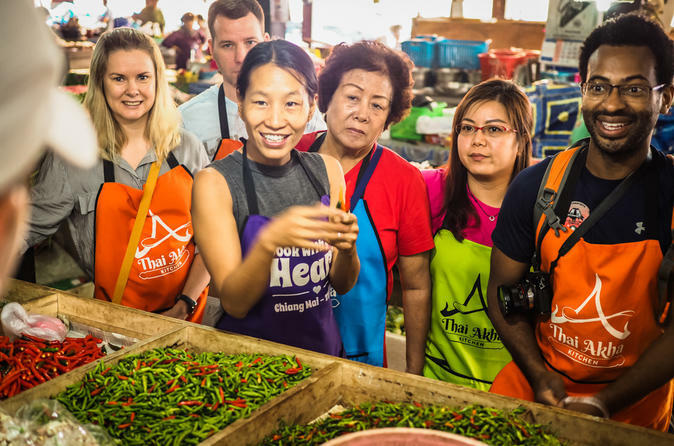 Learn how to cook Thai and Akha dishes during your holiday in Chiang Mai with our master chef, a native Akha people. You will learn some unique cooking style and dishes, plus the history and culture of this ethnicity. Light refreshments, tour to local market (for morning class) and hotel transfer is included. 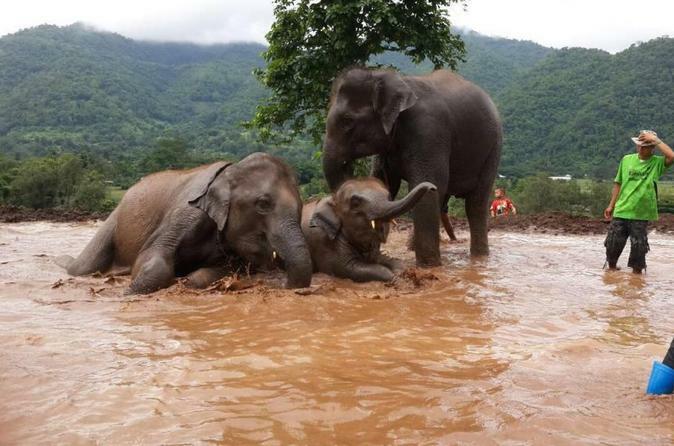 Baanchang Elephant Park is dedicated to providing elephants with the highest possible quality of life in Thailand. A nonprofit organization, the park is funded exclusively by visitors; your tour cost serves as a donation toward rescuing new elephants and ensuring the onsite elephants’ are happy and healthy. During this tour from Chiang Mai, you'll learn about the animals from a Mahout guide and enjoy the chance to feed them under supervision. Select a departure time and number of people when booking. 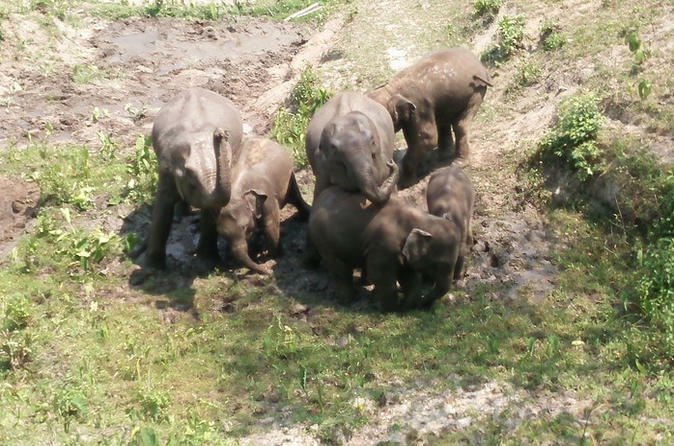 Enjoy half-day visit to Baanchang Elephant Park for an excellent opportunity to visit and help with the care of elephants. The beautiful natural surroundings are a haven for these giant mammals, and our team of experts make sure that they are treated with respect and love. Please note that there is no riding on this half-day tour. Experience the beauty, magic and adventure inside an area of Thailand’s pristine rainforest like never before. 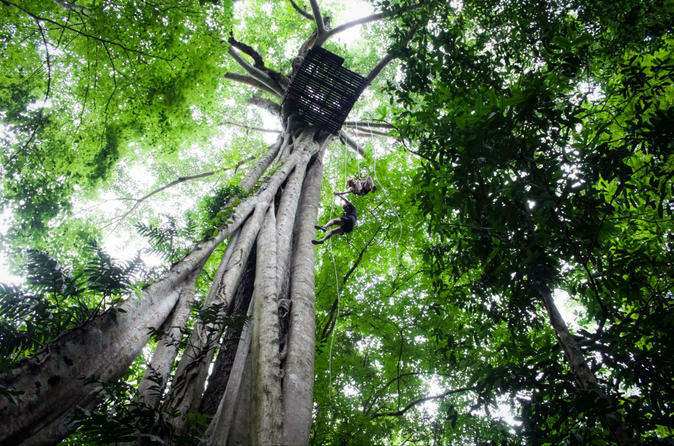 Have an unforgettable day, soaring through the jungle enjoying the same spectacular views as its highest inhabitants! Elevated on a mountain in the treetops of a pristine rainforest you'll glide through the jungle canopy via thrilling zip-line wires woven into the Thai jungle eco-system. Explore a primal Thai rainforest in a way very few people ever get to experience it while enjoying an eco-conscious outdoor adventure. 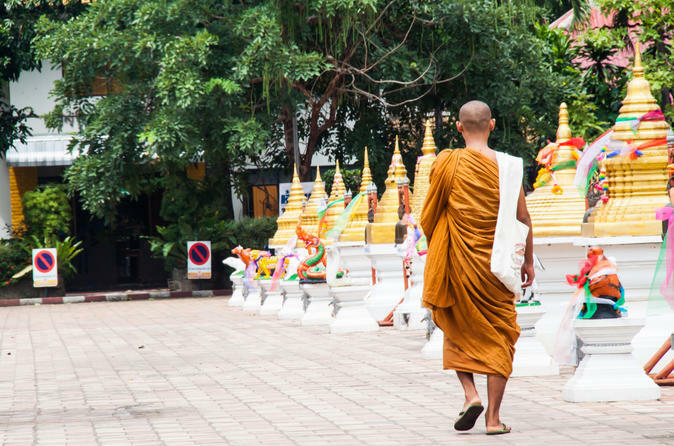 Explore the soul and spirit of Chiang Mai on this small-group cultural tour! 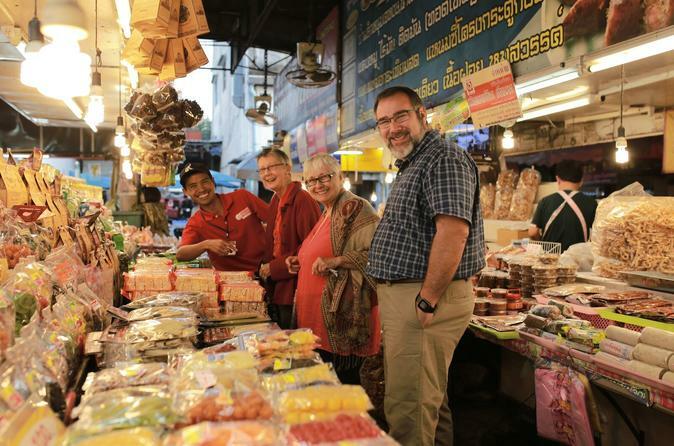 Rise early and watch Chiang Mai come to life as you visit one of its liveliest markets. 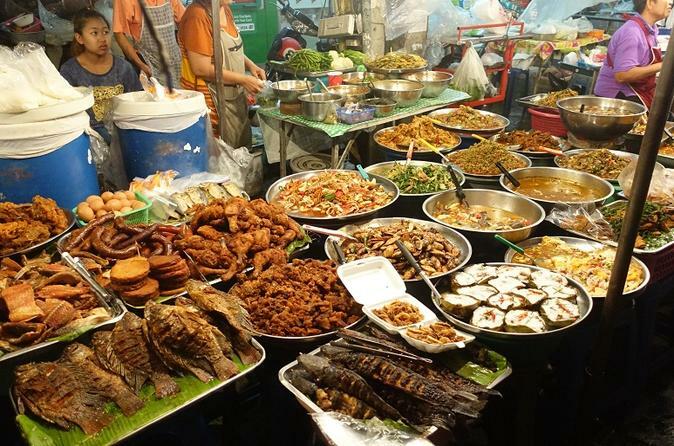 Enjoy a traditional Thai breakfast at a local market and get a glimpse of a typical morning routine. 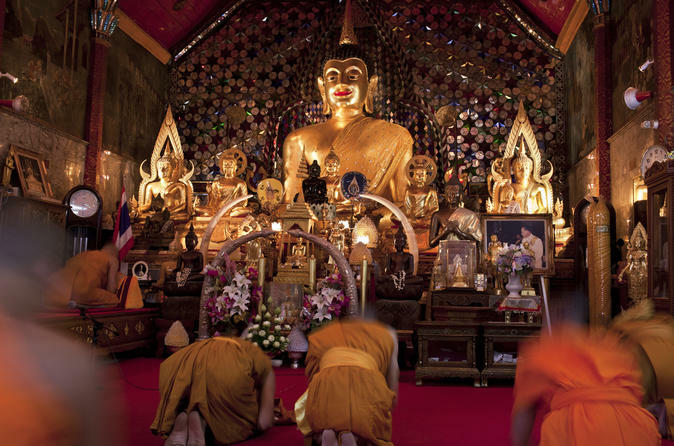 Gain insight into Chiang Mai's deeply religious culture by visiting two well-known Buddhist temples, and strike up a conversation with a monk. Discover the charms of Old City Chiang Mai. Biking the back lanes and alleys experience the modern city alongside the ancient temples inside the walls of the old city. 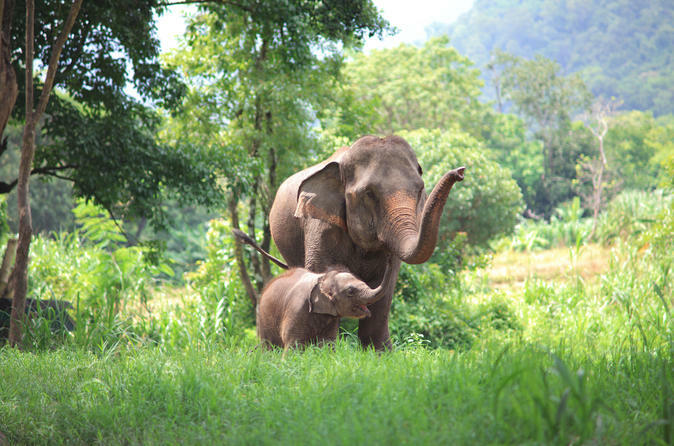 If you adore elephants, you’ll love this private full-day tour from Chiang Mai. The day trip focuses on local conservation efforts, and it’s a Viator Exclusive you won’t find anywhere else! 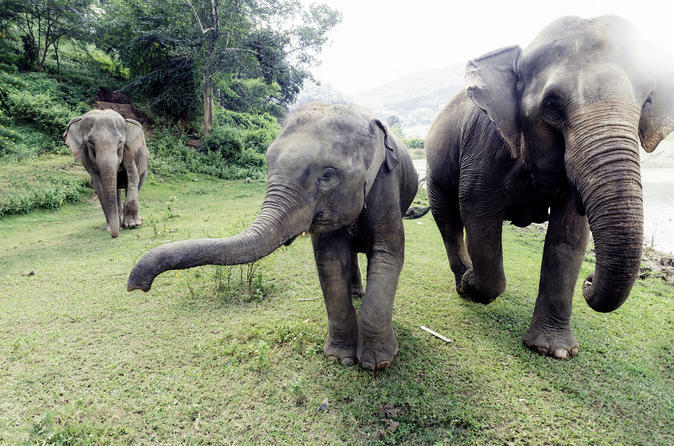 During your visit to Friends of the Asian Elephant and the Thai Elephant Conservation Center near Lampang, stop by an elephant hospital, see elephant mothers and their babies at a nursery, and view beautifully crafted wooden elephants at the Ban Chang Nak museum. If you’d like, opt to paint your own miniature sculpture to bring home. Enjoy the personalized attention of a private guide and transport by private air-conditioned car or minivan, depending on the number of people in your party. Join us and explore Thailand’s highest peak – Doi Inthanon National Park. The best time to visit is during December to February for cool climate and you will get a chance to see the blossom of Siamese sakura flowers all over the area. You will follow the nature trails in the park providing different views of the diversity of plants, reforestation, hilltribe agriculture, the origin of caves and bird watching. 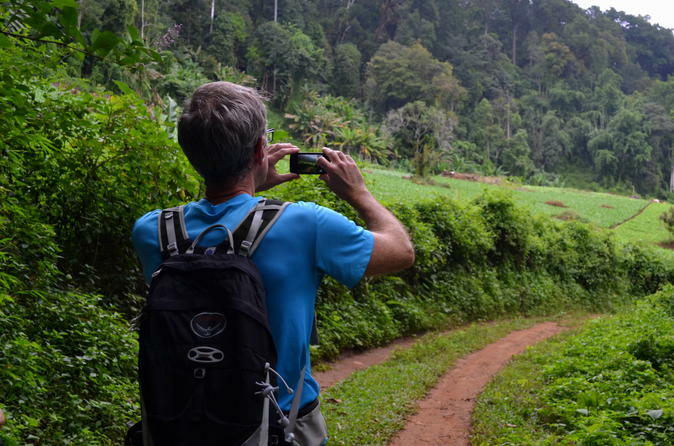 It will take approximately 2 hours for the trekking together with our local guide. Be amazed with the beautiful scenery on the mountain top and make a memories that last a lifetime during your holiday in Chiang Mai. A half-day morning package to the Elephant Jungle Sanctuary offers visitors an enjoyable opportunity to spend quality time with elephants in their natural home, as well as gain an insight into their history and behavior, and create cherished lifelong memories of their time spent with these amazing animals. 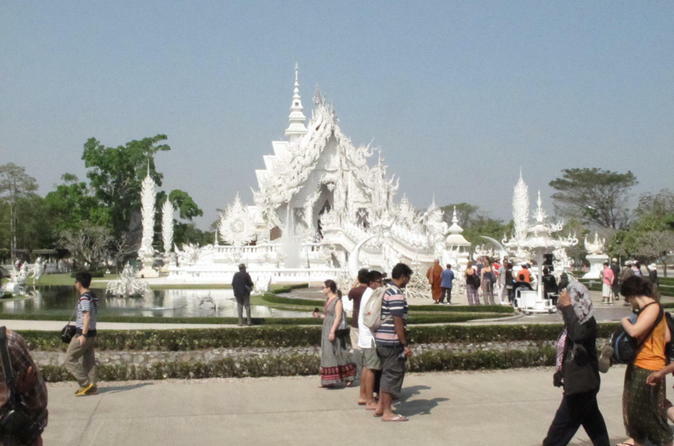 This small-group day trip to Chiang Rai Province will take you to a variety of attractions such as the modern architecture of the White Temple (Wat Rong Khun) and the ancient city ruins of Chiang Saen. 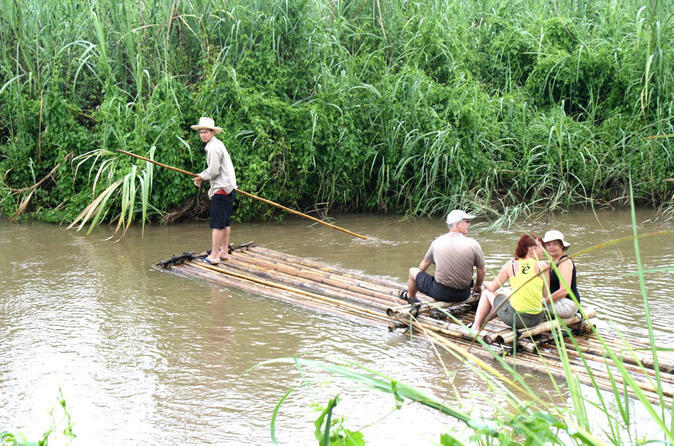 Ride a long-tail boat on the Khong River and see the Golden Triangle from a viewpoint. Lunch is included in addition to round-trip hotel transport from Chiang Mai. 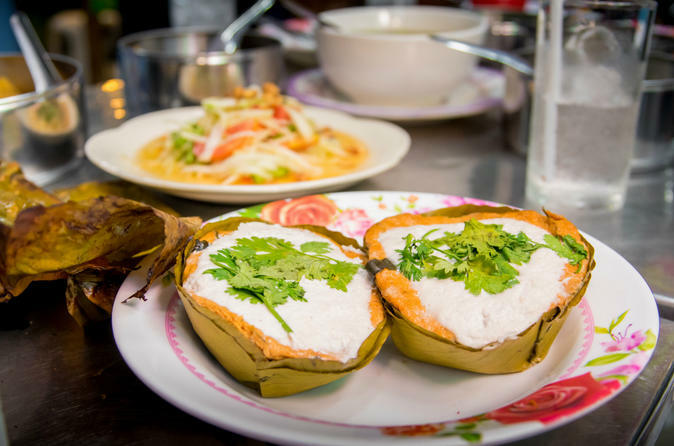 Get a taste of northern Thailand’s unique flavors on a 3-hour discovery of Chiang Mai's culinary culture. Set off with your guide to the city's lesser-explored historical landmarks and experience the flurry of nocturnal Chiang Mai. Stop at street food stalls for a taste of specialties such as skewered meats and curry with sticky rice, accompanied by fresh fruit juice and creamy coconut dessert. 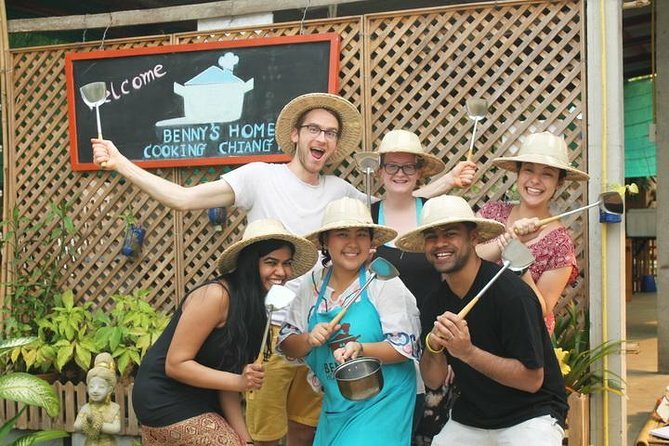 Join this full-day cooking class in Chiang Mai, learn to cook and have fun in a lovely home surrounded by an organic garden, where you will use personally picked ingredients to cook your favorite dish. Choose from a variety of fruits, herbs and vegetables to enjoy picking, cooking, and eating. The class is situated in the countryside, 20 minutes from Chiang Mai, downtown, or Chiang Mai International airport. Cook 5 unique dishes. Make curry paste from scratch. Choose your favorite dishes to do from the categories: appetizers, soups, pastes and curries, stir fried dishes, and desserts. 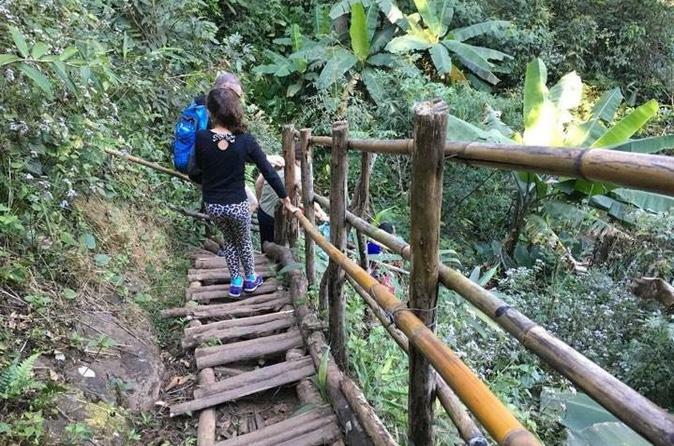 Venture into the jungle of northern Thailand on a private trek accompanied by an expert guide, round-trip from Chiang Mai! Enjoy three days of trekking near Chiang Dao, a small town set in spectacular mountains. Your guide will take you to visit remote hill tribe villages of the Palong, Akha, Karen and Lahu peoples. 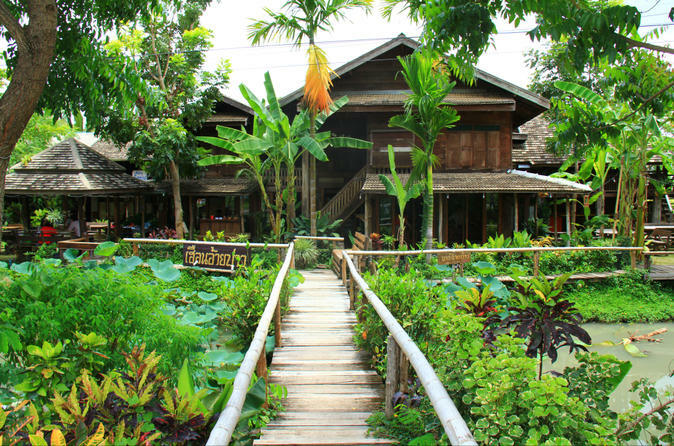 You’ll be welcomed into the villages with northern Thai cooking and overnight accommodation in modest bamboo huts. You’ll also have leisure time to explore the vibrant northern city of Chiang Mai before and after the trek. 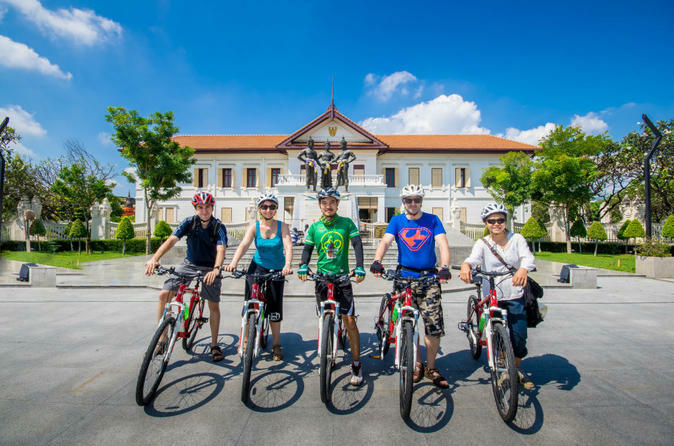 Set off on a memorable and informative tour of Chiang Mai's most interesting sights and beyond the city walls to see temples, markets and the best attractions this ancient city has to offer on this half-day cycling tour. Using city bikes, we will ride approximately 12.4mi (20km) on good quality flat tarmac roads to sights that are well off the tourist track. Take in the wonderful scenery, and see and experience a different side of Chiang Mai from most visitors! A cycling adventure off the beaten tourist path to discover the wonders of traditional Chiang Mai cuisine. 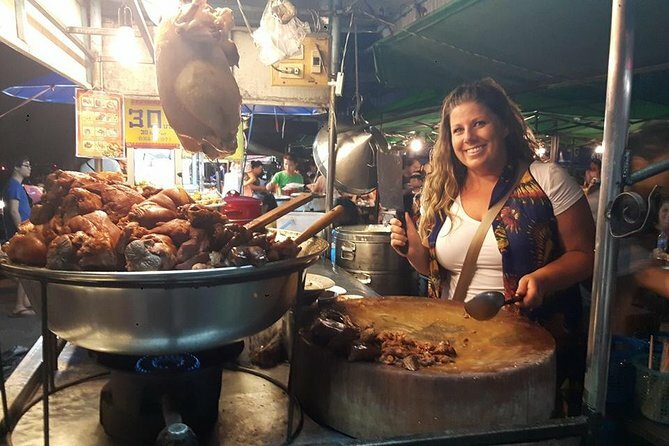 Come hop on a bike and let us take you for a food tour adventure the northern Thai way. 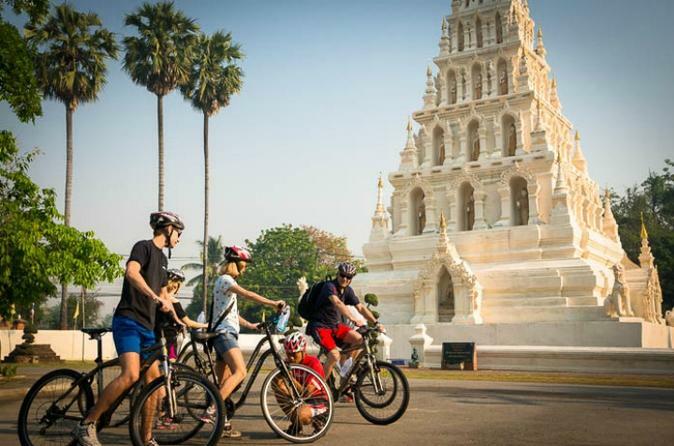 Join this approximately 4-5 hour amazing bike adventure through the southern part of Chiang Mai. Chiang Mai with its enchanting location on the banks of the Ping River is surrounded by mountains, rice fields and lush countryside. The northern city Chiang Mai, known as the ‘Rose of the North’, maintains the allure it has held for travelers for centuries. 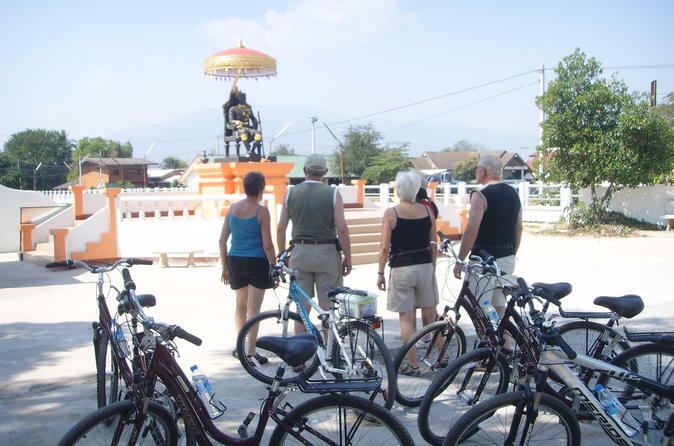 During the trip, you will learn and see parts of the rich cultural background of Chiang Mai. There are two daily departures to choose from. 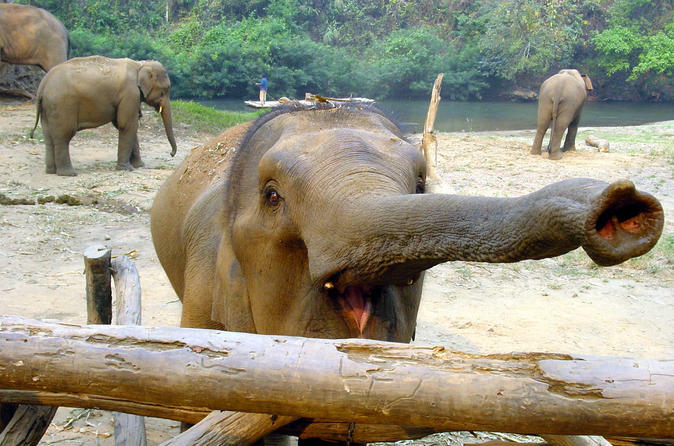 The Elephant Nature Park is a conservation project in northern Thailand, established in the 1990s with the goal of providing a sanctuary and rescue center for elephants. Home to dozens of previously distressed elephants from all over Thailand, the park gives you a chance to learn about the animals and help care for them. The area also offers a glimpse of rural life in Thailand as you admire the natural scenery of the valley, bordered by a river and surrounded by mountains. Lunch is included. Your days starts with a 2.5 hour hike through the stunning village farmland before your soar through the rainforest canopy, by zipline, over the perfectly manicured rice fields. An experience in Northern Thailand’s rugged landscape like no other, this full day hike and zipline combo, from Chiang Mai, includes return hotel transfers and a Thai lunch. 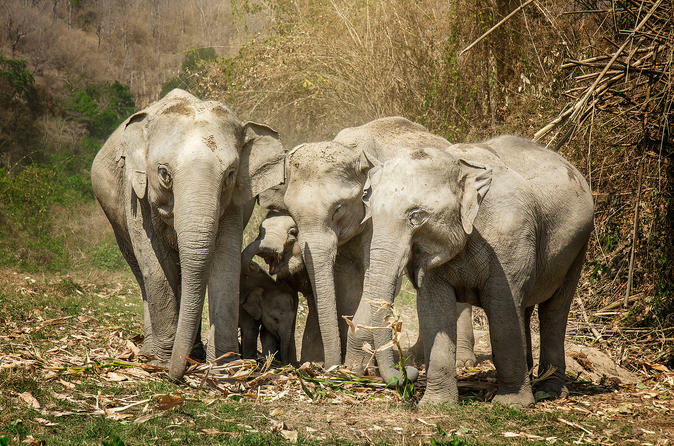 Patara Elephant Farm is set approximately 30km west of Chiang Mai in a beautiful forested setting and offers an intimate and educational elephant encounter. Our valued guests become the elephants’ caretaker for a half day by conducting a health inspection, feeding, bathing, and exercising the animals. This is undoubtedly a once in a lifetime experience. Aroy Aroy Thai Cooking School is located on the grounds of the beautiful River Market restaurant. It is a custom built cooking school and class size is limited to 12 participants. 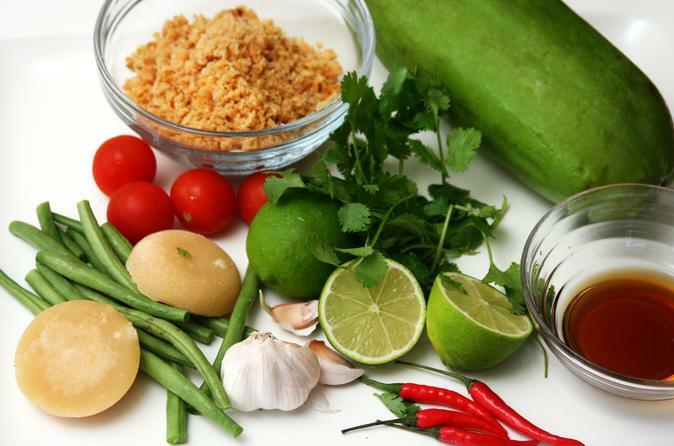 Our Thai chefs will guide you step by step and teach you how to prepare amazing Thai dishes. Watch, learn, prepare and enjoy on this fun-filled half day of learning and eating! Centrally located in downtown the school is within walking distance of all major hotels. With so much countryside to explore in northern Thailand, why not take in the sights as you soar above the ground? 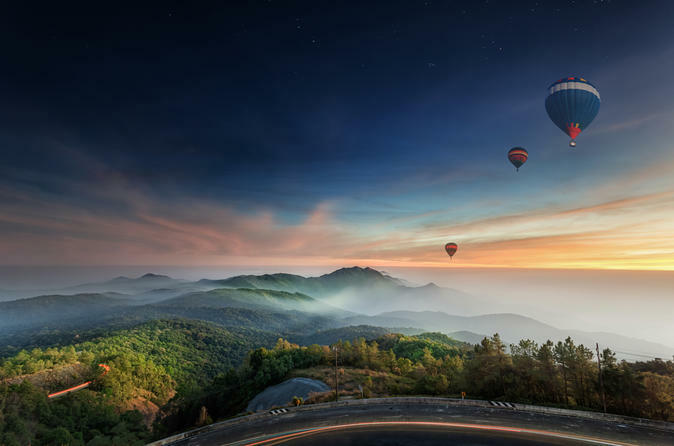 This breathtaking hot air balloon ride from Chiang Mai lets you float over the treetops as you watch the sun rise. A professional pilot navigates the skies while you simply gaze in awe at the panoramic vistas. Top off your aeronautical adventure with breakfast, a celebratory toast with sparkling wine and a flight certificate. Round-trip hotel transport to the launch site is provided. Doi Suthep Summit at 5249 ft.(1600m) elevation, is the starting point to your awesome off road Mountain bike introductory ride. 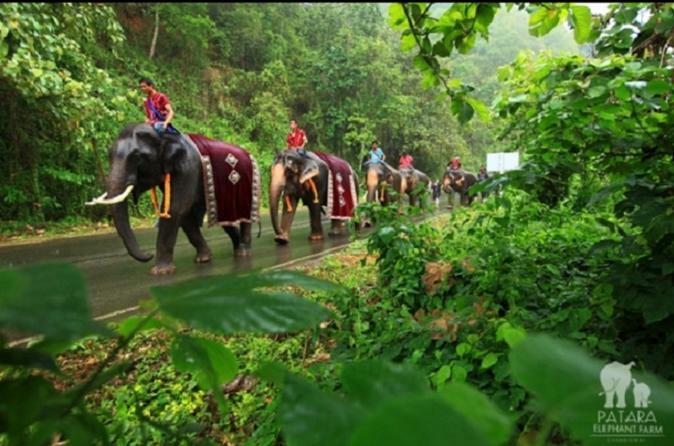 With hotel transfers, lunch, bottled water and all equipment included, this full day guided excursion from Chiang Mai, offers great views of the Mae Ping Valley as you descend along the jeep track through the National Park forest. Experience the best of both worlds with this full-day hiking and biking tour! Cover a lot of ground and see a range of great sights. Beginning with a 2.5 hour hike through stunning jungle and bamboo forests, followed by a fun afternoon cycling trip in the heart of the Mae Sa valley. 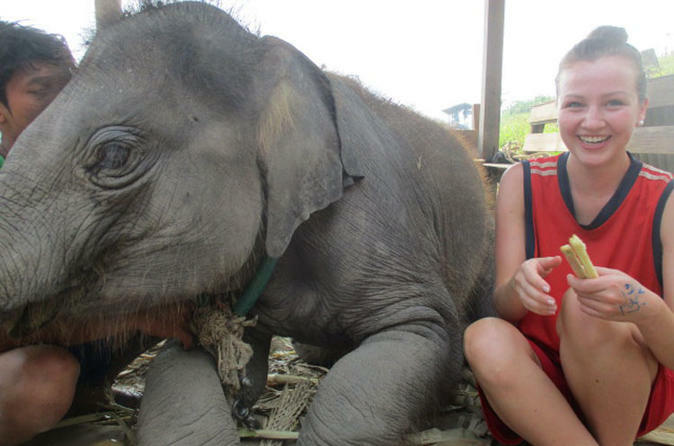 This overnight program is a rare opportunity to live and work closely with elephants. 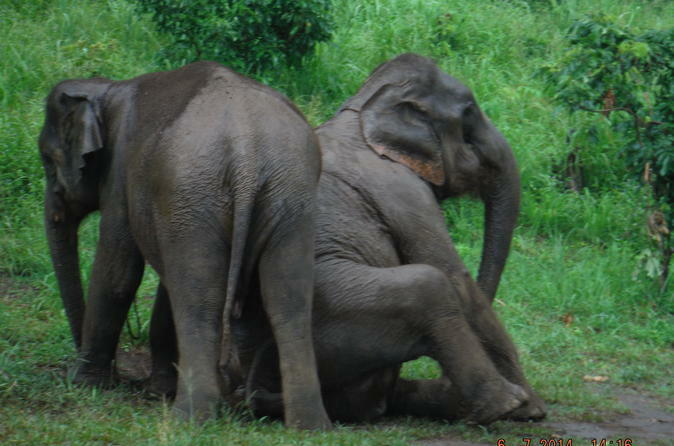 This program allows visitors to experience life as a mahout. When you join us for an overnight stay, you become part of a conservation experience. This is a great way for visitors to watch and learn from elephants. Please note that there is no riding include on this tour. 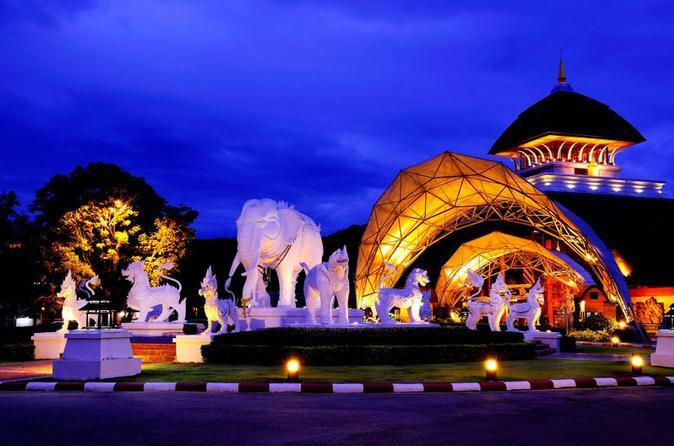 A spectacular night to enjoy for people of all ages to the Chiang Mai Night Safari. It is considered by many to be the most beautiful Night Safari in the world. It stands on over 300 acres and is just 6 miles (10km) from the center of Chiang Mai. You can bring your family and kids, riding on an open bus at night time along the forest, feeding giraffes, pigs, horses and experience amazing face to face encounter with different animals. A reflexology foot massage is excellent for tired feet after a long day's walk to reduce stress and improve circulation. Get pampered at an award-winning day spa in Chiang Mai. This 2-hour Fah Lanna Siam massage spa package includes both a reflexology foot massage and a traditional Thai massage.